A new paper available online now on “Increasing the credibility of expert-based models with preference surveys – mapping recreation in the riverine zone” written by Sven-Erik Rabe (ETH Zurich), Remo Gantenbein (whose MSc thesis this is based on), myself, and Adrienne Grêt-Regamey (ETH). In the paper we develop a spatially explicit model for the recreation usability of the riverine zone, which combines an expert-based modeling process using an analytic hierarchy process (AHP) with user preferences derived from an online survey. The paper will be published in the aptly named journal ‘Ecosystem Services’. Umeå University makes a massive effort on autonomous systems for industry and society of the future, with eight postdoctoral stipends in eight separate subprojects. These stipends are funded by the Kempe Foundation, and will offer funding for a two-year postdoc associated with various groups at our Department of Computing Science. One such stipend is still available within my group, for somebody interested in working on autonomous systems’ ability to understand their limitations, namely their ability to realise that autonomy will not work anymore and some form of collaboration with a human will be required. For further information regarding the project and on how to apply please see here. Mark Simpson, Kai-Florian Richter, Jan Oliver Wallgrün, Alexander Klippel. Quantifying space, understanding minds: A visual summary approach. Alireza Kashian’s work on automatically assessing the likelihood that a point of interest (category) will be located at a selected location in a city has been accepted at the ISPRS International Symposium on Spatial Data Quality in Wuhan, China. My recent paper ‘Identifying Landmark Candidates Beyond Toy Examples‘ to be published in the journal KI – Künstliche Intelligenz has just appeared online. You can read it here. And since it is published as Open Access, you can also happily download it. By combining in a smart way aspects of different existing approaches, the paper outlines a way forward for more scalable solutions for identifying landmark candidates to be used in spatial assistance services. 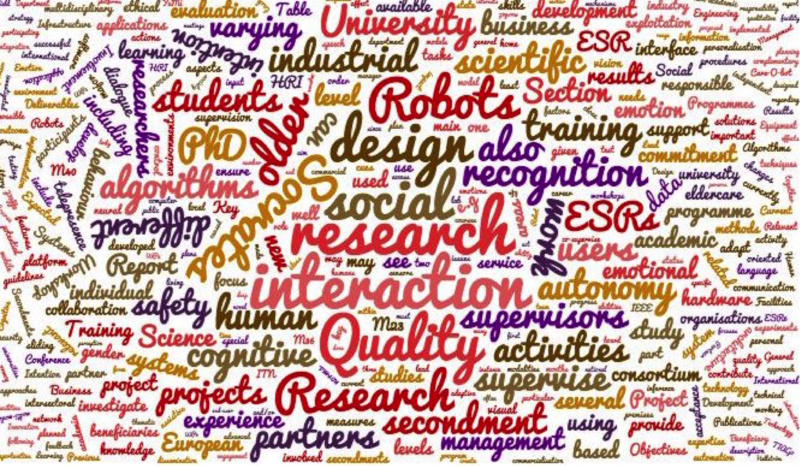 One such postdoc stipend is within my group, for somebody interested in working on autonomous systems’ ability to understand their limitations, namely their ability to realise that autonomy will not work anymore and some form of collaboration with a human will be required. For more information see the announcement at the university’s website. Further details regarding the stipend in my group can be found here. I have the pleasure of being a small part of a new ITN on Social Cognitive Robot Agents in the European Society (SOCRATES), coordinated here in Umeå by Thomas Hellström. We are now hiring said 15 PhD students, to work with different consortium members across Europe (Sweden, Germany, England, Spain, or Israel, to be more precise). Springer just published ‘online-first’ a new Encyclopedia of GIS (edited by Shashi Shekhar, Hui Xiong, and Xun Zhou), covering a large range of topics from 3D to spatial statistics. I contributed an entry on Indoor Wayfinding Tools. As of today, I am an Associate Professor (Universitetslektor) at the Department of Computing Science, Umeå University, Sweden. After very interesting and highly educational (in a strictly positive sense!) years in geography at UZH, I am looking forward to teaching into Umeå’s Cognitive Science program, to exploring computational (device) aspects of spatial knowledge acquisition while using location-based services, and generally to working on cognitive engineering issues of human-computer interaction. So, Merci vielmal Zurich and hej Umeå! A tight coupling of simulation and optimization methods in evacuation planning provides a better informed, more realistic picture of what would happen in case of a disaster than any of the two methods would provide on its own. See how we (aka Heng-Soon Gan, Kai-Florian Richter, Mingzheng Shi, Stephan Winter) have done it in our latest paper Integration of simulation and optimization for evacuation planning, which has just been published in Simulation Modeling Theory and Practice.